Natural superba wood, smooth surface, durable. It can be used for hollow wreath decorations, curtains hanging sliders, package link rings, small picture frames, jewelry racks, etc. Warning: Small parts,not for children under 3 years old. 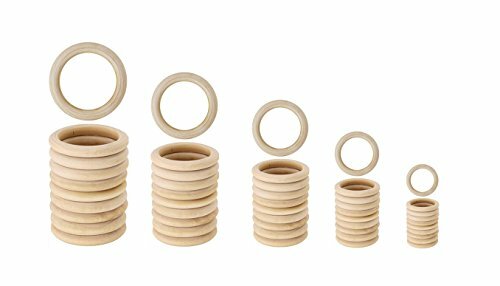 Versatile natural wood rings: good for various craft projects, such as DIY jewelry making, crocheted Christmas wreath ornaments, painted ornaments, small picture frame ornaments, etc. If you have any questions about this product by Bestsupplier, contact us by completing and submitting the form below. If you are looking for a specif part number, please include it with your message.